Love Books! | Go places you didn't think possible! About the book: Penny Wise introduces us to yet another family in “the neighborhood”—the Jaspers, busy with demanding jobs, busy with church, busy volunteering, parents of three active teenagers, juggling sometimes crazy schedules. All good things. Until all those “good things” feed into a series of crises that affects the whole family. Something’s gotta change! The third in the Windy City Neighbors series, Penny Wise is a contemporary peek at an urban family wrestling with the spiritual and practical challenges of real life. The series employs the innovating storytelling technique of “parallel novels,” each with its own drama and story arc, but whose characters’ lives become intertwined with their neighbors and affect one another. Welcome to Beecham Street—a typical, isolated American neighborhood that is beginning to come out of its shell . . . for better or worse. I was so excited to get this book and tp be chosen to be part of the Blog Tour. I have read all of the Yada Yada series done by Neta and Dave and have thoroughly enjoyed them all. Each series and book has a familliar family from a previous book that you have already gotten to know. This helps with the continuity of the books and for me shows a lifetime rather than just a point in life. The Bentley’s new life in the neighborhood brings a nice tie in to the other books as they struggle with the changes in their own life as well as getting to know the neighborhood. The Jasper’s are the “new” addition and the reader gets really caught up in the business of their life. At first I thought this book was a disappointment in that in seemed slow and redundant. The tiny little details of everything got to be a little much but I kept reading. Whether it was intentional or not, by going over the tiny details and every aspect of their busy lives, I found myself being exhausted and worn out by everything “to do”. It worked to get me caught up in Michelle’s life and I found myself wanting to change not only her, but me. The transformation in their lives was refreshing, encouraging and hopeful. The thing I love about all their books is that every person and every situation in the book is believable. A person will find someone or some situation in each book to relate to. They address issues of race, prejudices, financial problems, generation gaps, church vs religion, relationship, and many other issues all in one book. By the end of this book I wanted to save pennies (Don’t want to spoil anything!) and start a prayer group in my “neighborhood”. This book was fun, convicting and inspiring books to read and I recommend it for everyone! Disclaimer: I received a free book in exchange for a review. I have not received any compensation for this review. What a beautiful day, even though it’s gloomy and rainy outside! I have a choice on how I look at today! How do you “see” today? Make a choice! Just finished book 4 of the Earth Children series by Jean Auel. I can’t put them down!!! This one was called The Plains of Passage and it was no less exciting than the first 3 books. Yes there is a lot of repeat and a lot of description of their surroundings while they are on a long journey, but it takes place in the Ice Age and traveling was long and treacherous. As you travel with them you get a greater respect of the dangers, the ingenuity and creativeness of survival. As Ayla and Jondalar continue on their journey to the far North and prepare to cross over the Great Mother River and also the Great Glacier in the North, they discover other people groups and traditions that they are unfamiliar with. Ayla is quick to pick up the various languages in order to communicate. Both are anxious to learn new inventions such as burning rocks, and to share some their inventions for survival such as the spear thrower and the fire rock. Again there are many “Pleasures” shared in detail and a lot of talking around the fire. But her communication and protection of the group of animals they travel with has given them high status among those they meet along the journey. It is a great series if you haven’t read it. Start with Clan of the Cave Bear. A love story, suspense and drama all rolled into each book! We all celebrate our birthdays in different ways. Mine was just a few months ago and I turned the big 56! That wasn’t so much of a big deal, after all, I get to take advantage of senior discounts now! My 50th birthday was a bigger deal for me so I decided to throw myself a celebrate life party with all of my friends and family. We had such a great time! But with each passing birthdayI know that I’m getting older by how I feel . I can feel it in my bones, and I can see it in the mirror. With each passing year it seems that I always make promises that I will do something different this year. No matter how hard I try, I can’t stop the aging process. Someone recently wrote that there was an area that we often neglect evaluating as we physically get older. I can look in a mirror and critique my outward appearances as signs of getting older and hopefully more mature but do I look at my spiritual life to see if I’ve grown in the past year. Have I at least taken care of my spiritual self as much as I have my physical self? Have I grown spiritually? What can I do this next year to make my spiritual life grow. There is a song by Lynda Randle that says “I want to get so close to Him that there is no big change on that day when He calls my name”. This next year I want to see as many but hopefully more changes and growth in my spiritual life than in my physical life! What do you think? The more I study Hebrew, the more I understand and see that there is reason and an order for EVERYTHING God does and has done!! I have always known that God is in control but to see and understand His ways has become very important to me. In Hebrew, which is the original language that the Old Testiment or Torah was written, every letter and every word has significant meaning. The same is true of the New Testiment Greek, even though I haven’t studied Greek. God’s word is unchanging and the inspired Word of God given to man to write down. It is His Inspired Word and I believe that!! I am looking forward to sharing more insights from my Hebrew lessons with you at some point! Yesterday I was driving to the doctor for a follow-up appointment and as I drive, I listen to Christian radio, I am often moved by music that describes a scripture passage or helps me to memorize scripture. I had never heard this song before and by the time it was done, I was in awe again at God’s order and control. Numbers are very important in the Bible many of the Hebrew letters have numbers assigned to them as well as words. The numbers 3 and 7 are significant in many ways. The song was called “Just 3 Nails” and you can listen to it at this link: https://www.youtube.com/watch?v=kLyjGrhVZ6g . 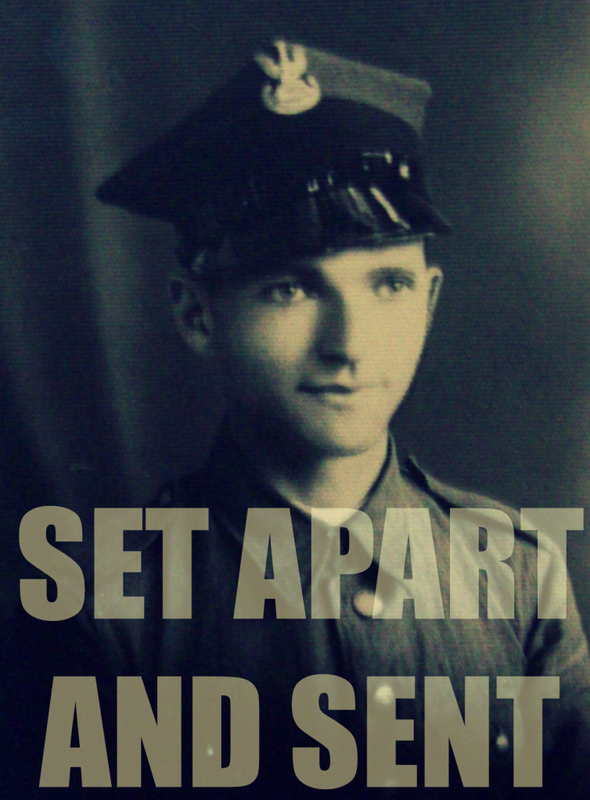 Here are a few of the words: “A carpenter made my salvation with just 3 nails”, “With just 3 words He gave us hope”, “The chains of our sins have been broken with just 3 nails”, “In just 3 days He rose again, a finish to God’s perfect plan”, and “With just 3 nails He built a bridge between my Father and me”! Isn’t that awesome! I am so glad God sent His only Son Jesus to build a bridge between God and me so that I could spend eternity with Him and have a relationship with Him here on earth. I am telling you that the past 3 years with all the surgeries and difficulties and almost dying, that there was always a peace and calm that was with me! I KNOW that it was my relationship with Jesus that made it possible to get through those trying times. My family also has a relationship with God and together we could pray and trust that what was being done was in God’s control and He would help us through. I know many of you are going through tough times right now! Get close to God!! He IS in control and He WILL get you through whatever it is. It may not be easy but He will be right beside you ALL the way. If you don’t have a relationship with Him let me know and I’ll help you start one! If you are young in your relationship, let me know, and I will come along side of you and help you get closer to Him. Let’s spend eternity with God and with each other!!! Today started out to be a challenging day physically. I got up and wished I could just go to bed but I had things I needed to do and I really am trying to not give in to my body all the time. That is really hard to find a balance when I have a chronic illness (several in fact) and trying to push and keep going. There is a really fine line and more times than not, I give in to going back to bed. Today though I was having a friend over to my house to study Hebrew. I have been learning to read Hebrew for about 2 years now and am finally getting to a place where we are putting letters together in to Hebrew words and the first book of the Bible we are going to read in Hebrew is the book of Ruth. I am so excited about it and I’m sure you will be reading a lot more on my Hebrew/Jewish adventures! My time today with Donna was a special time. We are new friends and yet it feels like we have known each other for ever. We didn’t get much Hebrew reviewed but we did have a precious time of learning about each other. God is so good in bringing special friends along side when you need them most. 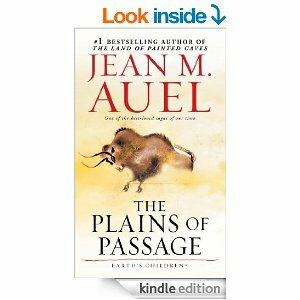 I also have been reading a book called The Plains of Passage by Jean Auel. It is the 4th book of the series Earth Children. It was recommended to me by a friend and mostly out obligation I began reading them. I was hooked! It is set in the ice age and about the “Clan” or “Flatheads” and the “Others”. It is about survival. It is not a Christian or Biblically based book which is normally what I prefer to read but as long as the language isn’t obscene or vulgar then I’m up to reading most anything. This series has really got me to thinking and I would love to challenge you with the same think I am challenged with today. As I read about survival and traveling on foot long distances and learning new customs and language, I am struck with how little they needed to get by. I mean they had maybe 2 outfits to where, a knife, a spear, maybe an ax, and a basket or two that they made for cooking or carrying water. They only killed and ate what they needed. They used every part of their kill for everything. Nothing was wasted!! Now compare our lives, my life. How many clothes do I have that I don’t even wear, how often to I throw food away, how much “stuff” do I really need? When I get right down to it, I have everything I “need” plus more “wants” then I can use! How many people can I bless if I give them what they need and what I have no need for any more? It got me thinking once again about “skinny-ing up” again. Look out closets…..here I come! What about you?